Whenever one watches the epic story of Akame ga Kill with all its awesome array of characters in full action, there's no stopping the jam-packed thrill that rushes through the veins. This anime actually successfully caught people off-guard and burned the insignia of Night Raid right into their minds. Now people want more similar anime, to the point where they'd actually KILL (figuratively) for it. If this describes you, read on to find more anime like this amazing series. This selection of delivers all of the action and thrills you love. With his village in the grip of starvation and poverty, Tatsumi tries his luck in the Capital City in the hopes of providing food and prosperity to his village. Unfortunately, when Tatsumi reaches the Capital he learns that the big city isn't as righteous and good as it looks. The Capital is actually the center of corruption and evil deeds and there will be no hope unless it is abolished. Following a fateful encounter, Tatsumi is recruited by a well-renowned assassin group known as "Night Raid" of the revolutionary army, and starts a new mission to correct the world little by little. "An eye for an eye, a tooth for a tooth! "—that's the philosophy that members of the Code:Breakers follow. 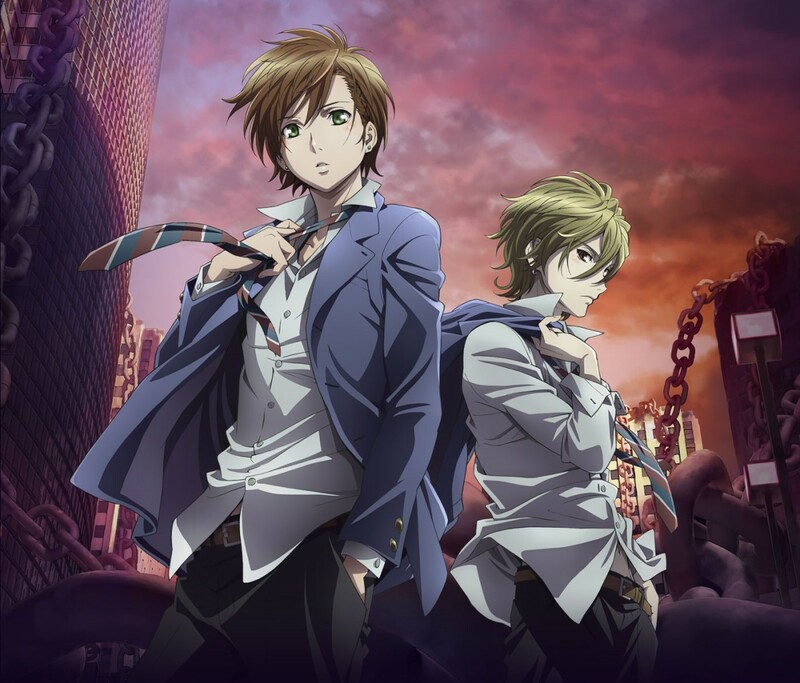 In an effort to cleanse the world of injustice and crime, the Code:Breakers carry out their mission and will stop at nothing in pursuit of their mission to bring justice and judgement crashing down upon all the seasoned evil-doers everywhere. It all starts when Sakura Sakurakoiji witnesses a scene that she could never have imagined. She saw a man burning a number of people with mysterious blue flames that he had conjured with his bare hands. 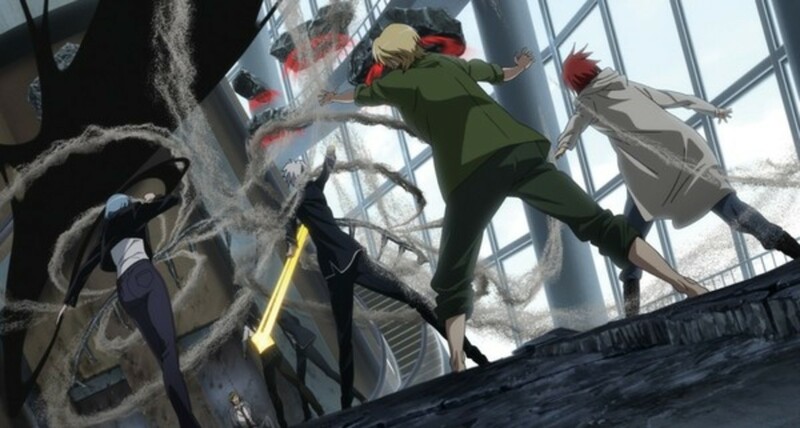 She then discovers that that person was Oogami Rei, a Code:Breaker whose mission is to eradicate all evil by doing another evil—killing. Coincidentally, Oogami Rei transfers to the same school as Sakura. She tries to discover the mystery that surrounds Rei while goading him to stop fighting evil with evil. But from that moment, she is herself dragged into a world that is nothing like anything she has ever seen. The Philosopher's Stone: Legend has it that this piece of scarlet stone is the highest form of alchemy. It is said that it can bring the dead back to life, turn any material into gold, and perform the most impossible of miracles. This mysterious stone is said to be the only object capable of breaking the law of equivalent exchange, and thus it is the most powerful object in the world. But with all the research and speculations surrounding this object, what in the world is the real truth? 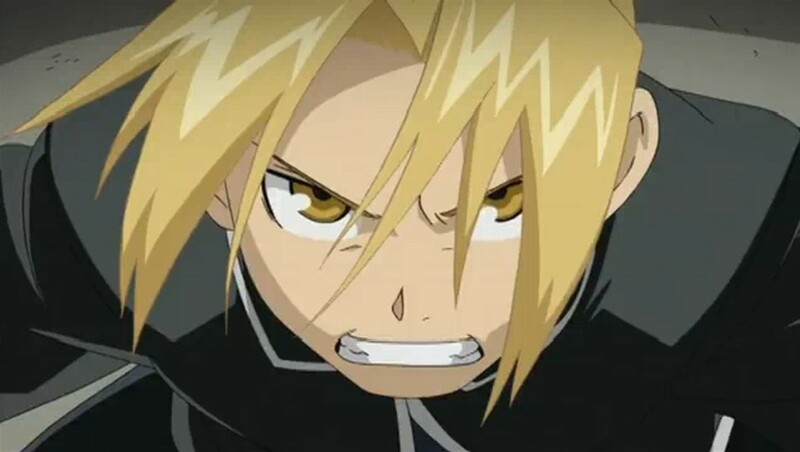 After the Elric Brothers, Edward and Alphonse, break one of the greatest taboos of alchemy in their childhood and almost lose their lives in the process, they begin quest (as state alchemists) to find the Philosopher's Stone in order to make amends for their past and return their body states back to normal. But as they get closer and closer to the stone, they also risk uncovering the grievous truth behind the Philosopher's Stone, society, and the whole world of alchemy. Everything might seem like an endless discovery of mysteries, but once the answers are revealed, the truth might just crack everything open. It's one of the eternal goals of alchemy, and everything (even the highest form of alchemy) has a high price to pay. Present-time Tokyo, Japan: Rumors has it that beings who crave human flesh are hiding in the shadows of society. One tale even claims that these beings are cloaked among humans, blending naturally because their features are clearly that of humans. No one knows exactly what identity these flesh-eating beings possess, but one thing sure: They are creatures known as ghouls! Kaneki Ken is just a normal college student who loves reading books when he suddenly has a life-changing, an unfortunate, experience. He comes upon a ghoul encounter which he luckily survives but which marks a part of him. He is injured and the only way he can save his own life is through an organ transplant with a ghoul. 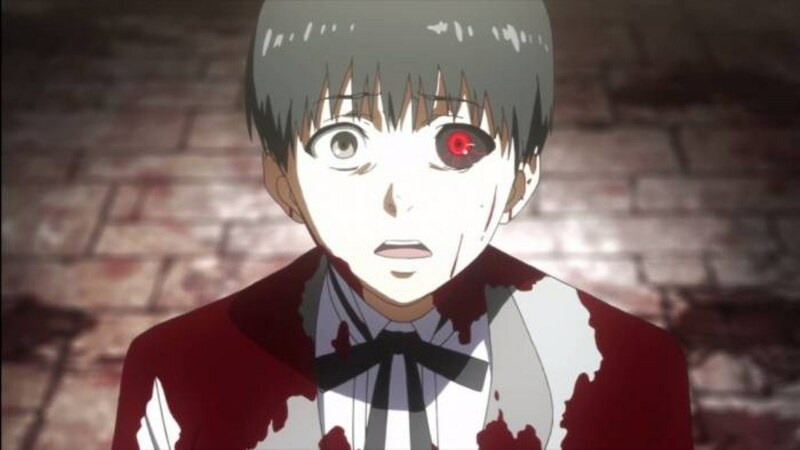 Kaneki Ken slowly turns into a ghoul and has no idea what's happening to him. That is, until he is dragged into the world of ghouls. It might seem that he has nowhere to go now, but actually he is both a ghoul and a human. If there were a chance that you could become a god of space and time, would you accept the chance and take all the risk that went with it? What if I told you that you must win a real-life survival game first before you could reign supreme with your new status. Are you still willing to join the pursuit? Well, in Mirai Nikki or also known as the Future Diary, that's the very situation at hand. This series is about a ruthless survival game to crown the next god of space and time. Each participant is given a unique "Future Diary" based on their personality that they use to see the future and kill the other participants. It's kill or be killed in this game so there's no quitting it once it commences. 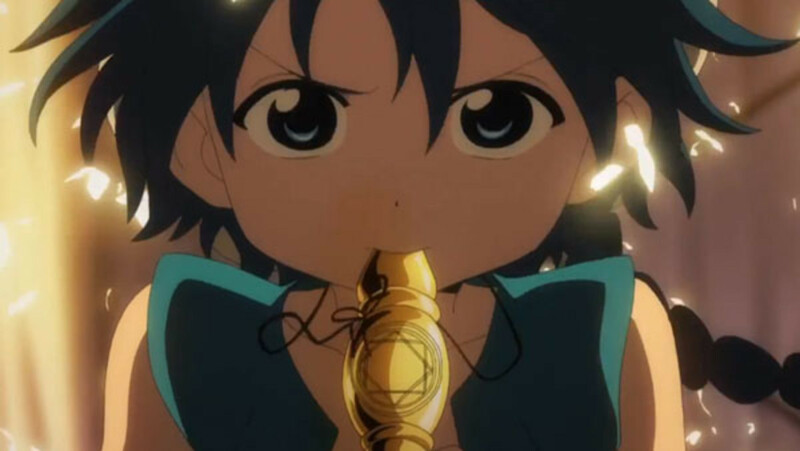 Among the twelve participants, Yukiteru Amano (a 14-year-old boy) is clueless about what is happening within himself. At first, he thinks that Deus Ex Machina (the present god of space and time) was just a figment of this imagination. But then he becomes capable of reading the future with his phone. Now he is part of a deadly game in which he is Deus Ex Machina's the top bet as the one with the highest chance to win the game. With that bet in place, he is also the main target of the other Future Diary holders. What's with criminals turning into the main characters nowadays? Well every coin has two sides, so good and evil must be two sides of the same coin. We should always consider both sides of everything that's happening in the world. Remember, it's the victors that claims justice and write history. In the case of the Nanatsu no Taizai (The Seven Deadly Sins), the ones in position, the Holy Knights, are the evil ones. 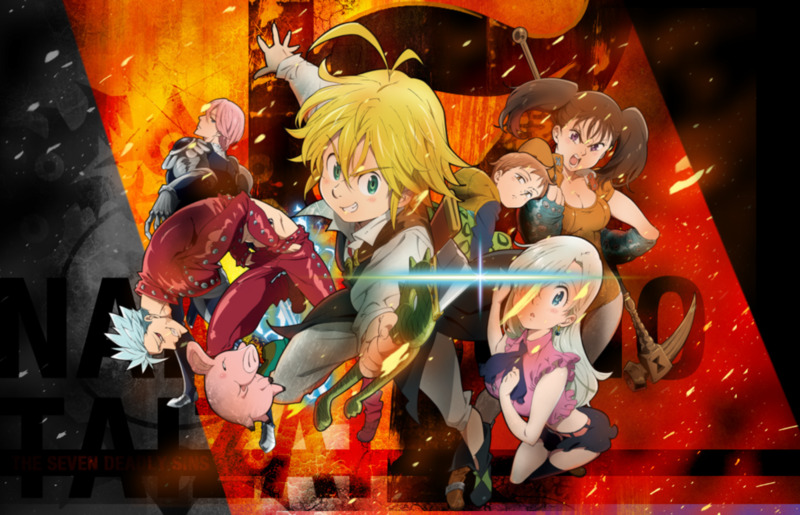 In a kingdom that's overtaken by Holy Knights who are corrupt with power and glory, the only hope is to invoke the help of the criminal-group Nanatsu no Taizai (The Seven Deadly Sins). They were once the most powerful knights in the kingdom but have been condemned as a criminal group that tried to commit treason. Now a princess named Elizabeth begins to doubt the Holy Knights and the story that they have spread about themselves. With corruption and evil getting more intense day-by-day, she sets out to search for the high-profile criminals known as "The Seven Deadly Sins" to restore peace and put things right. 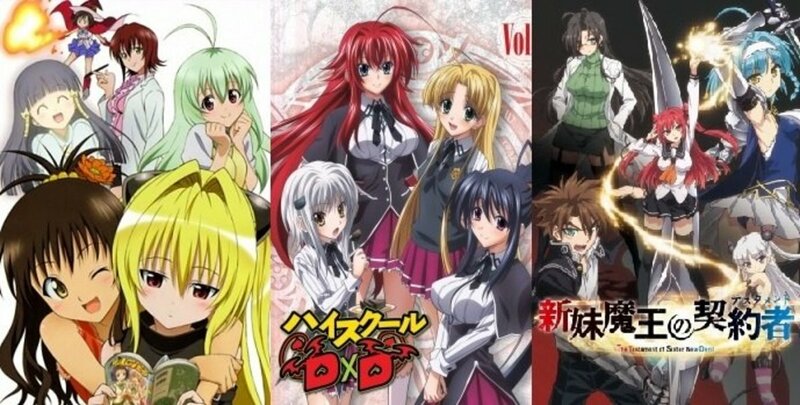 If there are fad themes these days (like you might have seen in Akame ga Kill), then among them would be death, blood, and violence combined with the usual themes of adventure, humor, and drama. Here is yet another anime with such intricate similarity to Akame ga Kill. It isn't a similar story or plot overall, but the themes are so comparable they are just screaming to be noticed. This anime I'm going to describe here is Gokukoku no Bryhildr. With a huge fascination for aliens, Murakami wants to find concrete proof that aliens really do exist. But Murakami's curiosity is partly due to a childhood friend named Kuroneko. 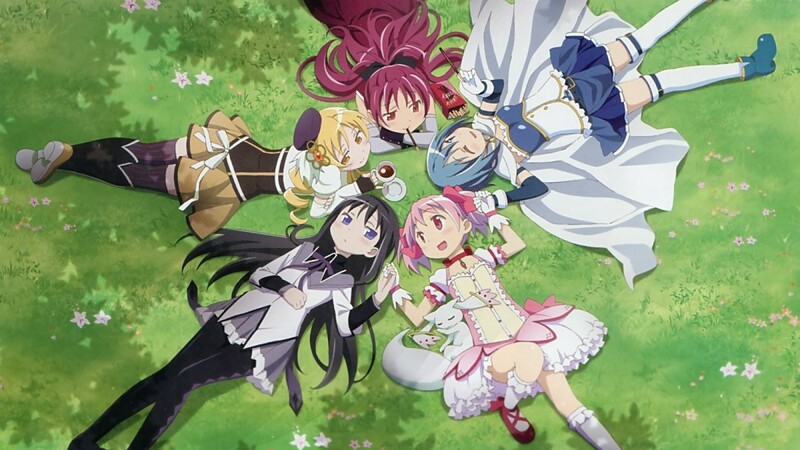 Unfortunately, Kuroneko died in an accident as she was about to prove to him that aliens do exist. Now, Murakami is about to discover what aliens really are. One day he meets a new student who bears an uncanny resemblance to his childhood friend. On top of that, the new friend's name is Kurohaneko (which is also very suspiciously familiar). As simple as this plot sounds, that's all just the beginning. From here on, nothing is as simple as it appears. Prepare for a complicated rush of thrill and suspense. 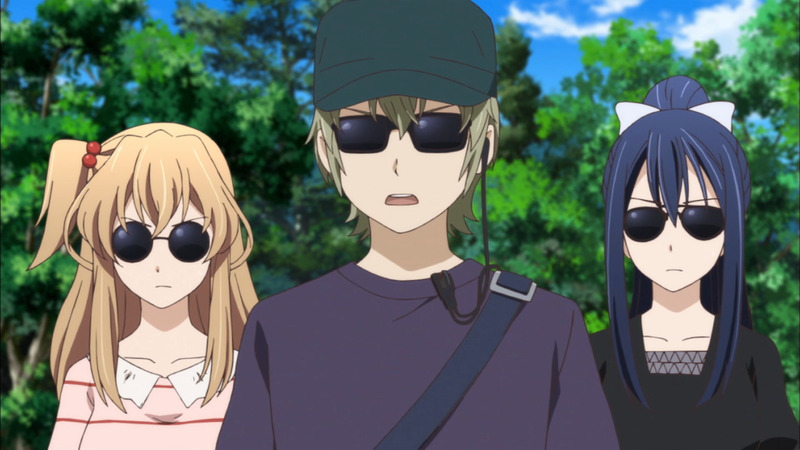 Gokukoku no Brynhildr is darker and much more mysterious than it seems. A minister/adviser taking over the kingdom, a brutal hunt for all those who possess the potential to become a threat to the new rule, and a gang of vigilantes working to claim back the kingdom and stop the corruption—sound familiar? Well, I like how you think but this isn't Akame ga Kill. The story may sound the as Akame ga Kill, but this is Garo:Honoo no Kokuin or Garo: The Carved Seal of Flame. In a certain kingdom of the medieval era, a minister/adviser seeks the throne for himself. He poisoned the king and manipulated the kingdom into carrying out a witch hunt to eradicate all the Makai Knights and Makai Priests who stand in his way. One day, when a Makai Priest (who was blamed as a witch) is sentenced to burn on a stake, a unexpected thing happens. A child is born on the burning scenery and is saved by Gold knight. A couple of years later, the king has become ill and the adviser has totally taken over the throne. The son of the king is shunned, so now he's on the quest to search for the "child" who was saved by the Gold Knight to bring him back and help him reclaim the kingdom. The fate of the kingdom is now in their hands. Take this Anime Poll if you've got the time! 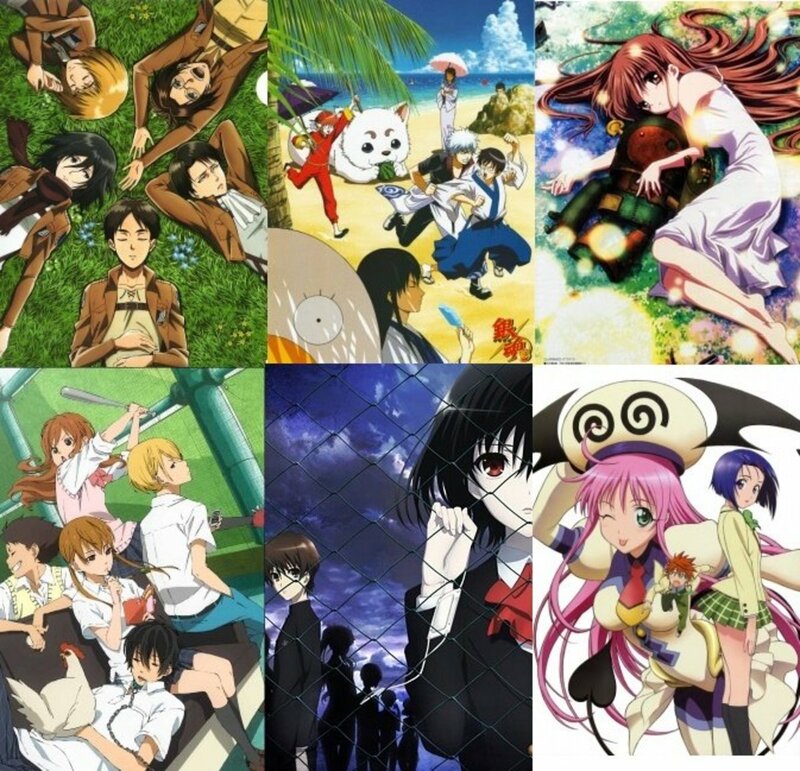 How many of the anime titles on the list have you watched already? I haven't watched any of them! I'm just starting! I have watched 1! Barely! Just 2 of them! Halfway there! 3, I guess! I'm proud to have watched half! 4 of them, that is! Way more than half! Which is 5 by the way! Almost all of them! 6 exactly! I have watched all of them! Perfect 7! 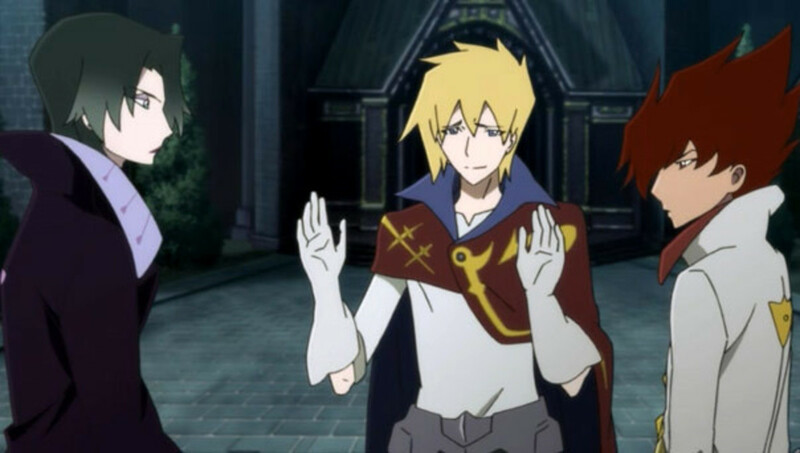 I think Owari no Seraph, it bring be some memories i dont know why... 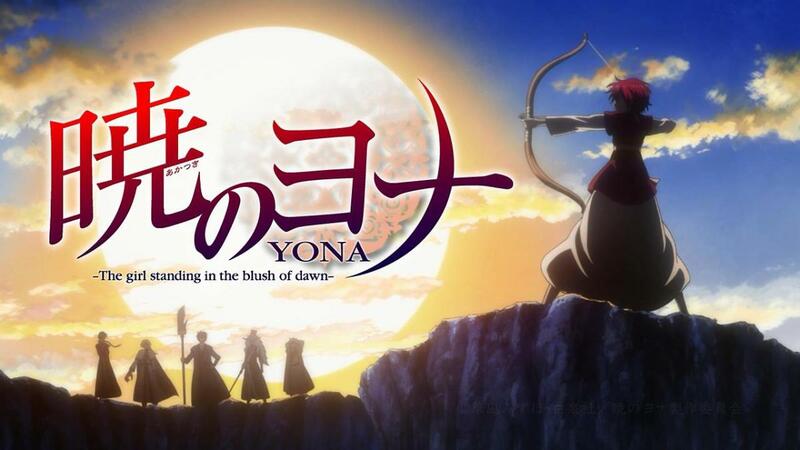 I recommend everyone watching it, very good anime! When I watched the trailer I thought, "Looks a lot like Re:Zero", makes sense since I think they're both from White Fox. @himanshu nope. As far as the anime is concerned, it's done. The manga is ongoing though, but also near the end. 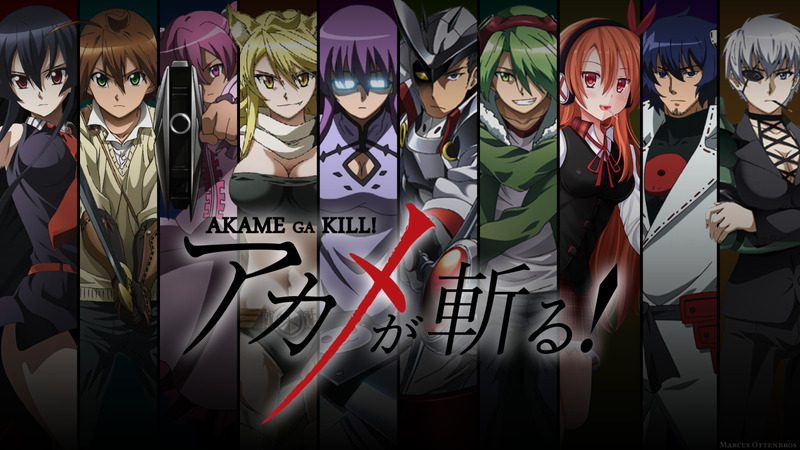 Akame ga Kill is essentially a dark fantasy anime with an identity crisis. It wants to appeal to both the shonen & seinen crowd with many conflicting elements. Depending on what the viewer is most attracted to in Akame is what should decide what kind of shows to recommend. The darker, gritty aspect and lack of plot armor? Shiguri: Death Frenzy, Basilisk, Claymore, Berserk, Rurouni Kenshin: Trust & Betrayal, Kurozuka, Ga Rei Zero, and Birdy the Mighty: Decode. Hellsing Ultimate, Black Lagoon, Jormungand, Gungrave, Samurai Champloo, Psycho Pass, Fate/Zero, Sword of the Stranger, Redline, and the Rebuild of Evangelion movies. Heart-pulling adventure fantasy (or science fiction)? Spice & Wolf, Mushishi, Legend of the Legendary Heroes, Seven Kingdoms, Steins;Gate, The Girl who Leapt Through Time, and Eureka Seven. Attack on Titan, Fullmetal Alchemist: Brotherhood, Hunter X Hunter, Yu Yu Hakusho, Rurouni Kenshin TV series. 2. Attack on Titan - Another "mature" dark-fantasy shonen anime attempting to appeal more to the seinen demographic. Features another involuntary hero forcibly drawn into a conflict unwittingly. One of my favorite shows of the season and similar execution. Features a love interest arguably more strong and interesting then the main character. 3. Knights of Sidonia - Nicknamed "Attack on Titan--In space!" this show features a similar concept and a similar main character to Attack on Titan but a drastically different execution. (Through amazing CGI) Definitely much more seinen than shonen (featuring almost none of the standard shonen tropes.) this show takes some getting used to- but is 100% worth it. Along with the previous three shows this show feels like a very strong recommendation. 4. Mirai Nikki AKA "Future Diary" - Another high-quality production featuring an unwitting main character drawn into a larger conflict. In addition, this show a similar-type romance where, technically speaking, the love interest is actually the strongest/most interesting character in the series. The actions scenes, like Break Blade and Attack on Titan, felt similarly suspenseful as well. And also just like those series this show suffers similar criticisms. 5. Fullmetal Alchemist: Brotherhood. It's pretty astounding how much I was reminded of this show while watching Akame ga Kill. Not necessarily that the characters were similar, per se, but certainly in the setting, premise, and execution. The shows both feature a set of unwitting main characters becoming heavily involved in a larger conflict. Brotherhood, however, has the benefit of being longer and lacking the pacing issues that seem plague some of the earlier shows. Some people consider this the best shonen of all time. Many parts of me don't want to disagree with them. You may also substitute this spot with the new (or old) Hunter X Hunter series. 7. High School of the Dead - If we're going to get ridiculous why should we bother thinking of limitations? Perhaps the best case-example of an anime being "way too ridiculous" for its own good is High School of the Dead. Personally, I loved this one-cour series and was extremely disappointed the anime or manga did not continue past the end. However, like the times I've (and many others) have spent Vegas, I have absolutely no regrets.